I got out grooming tonight (2/26). Public television, North Forty, Gunnar, East and West pines, Upper and Lower Little Bighorn, and First Right are all done. There’s some crazy layers of snow out there. Powder on top of hard pack, then a crusty ice layer with powder on top of that. No guarantees how well they’ll set up. Word of advice. Don’t fall off the trail...we might not find you till the time trials! I hit Public television, Gunnar, and the Pines again. I also hit Fred’s, The Luge, Old Randy’s, Upper Ice Cave, Stairway to Heaven/Boa, and Rocky Road. Should be a pretty good loop. Dunnings trails looked pretty good considering I hadn’t done any grooming on that side. There’s been a fair amount of snowshoeing going on over there. Friday and Saturday look like decent days to hit up the trails. There will be tough spots where the snow is soft due to the snow depth, and getting to close to the edge may cause you to fall through. 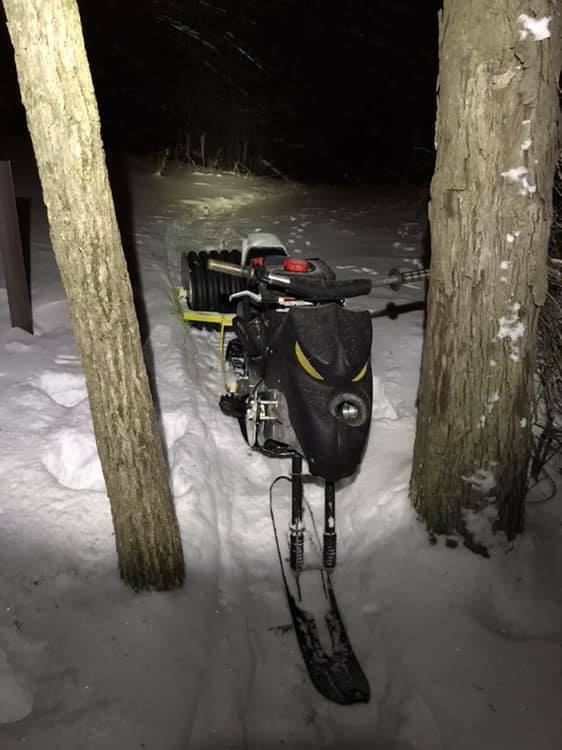 But a tough day of fat biking is better than a good day at work...right?!? We totally appreciate folks who go out and hike with snowshoes! 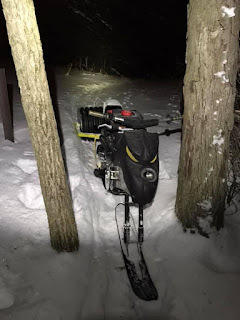 It definitely keeps the groomed trail happy and healthy vs. hiking in boots and poking holes into the trail. It can also help with grooming if we have too much snow to groom easily. It's also frowned upon to hike and break though groomed ski trails. 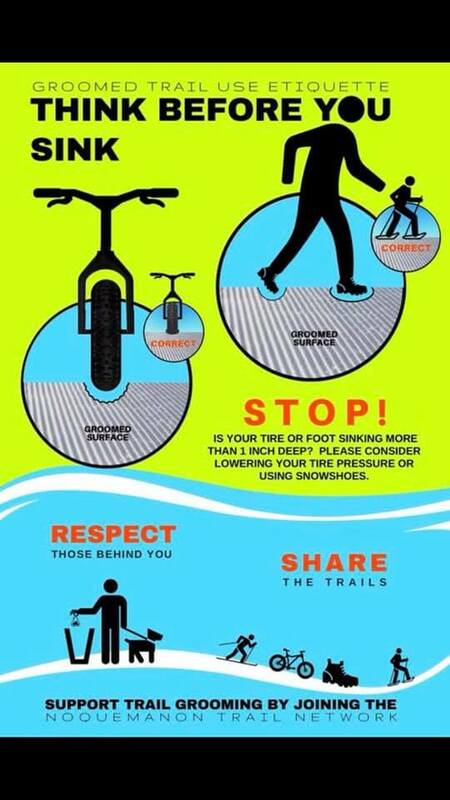 The image off to the side is a great reminder for all of us on groomed trail etiquette! 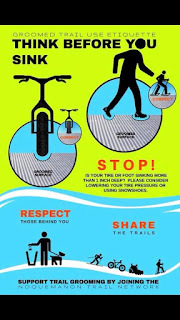 If you're curious on snowshoes, you can rent a pair at Decorah Bicycles for $10.00- and that gives you 24 hours of use!